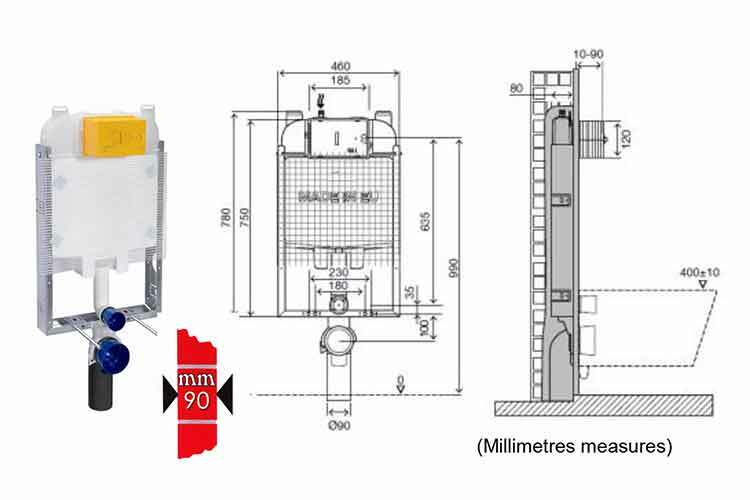 This Slimline concealed toilet cistern is so slim at 90mm that the installation frame can be easily built into the masonry wall, allowing for more space within the bathroom be used. The slimmest toilet cistern frame in the UK this is an ideal choice for both wall hung and back to wall toilets. 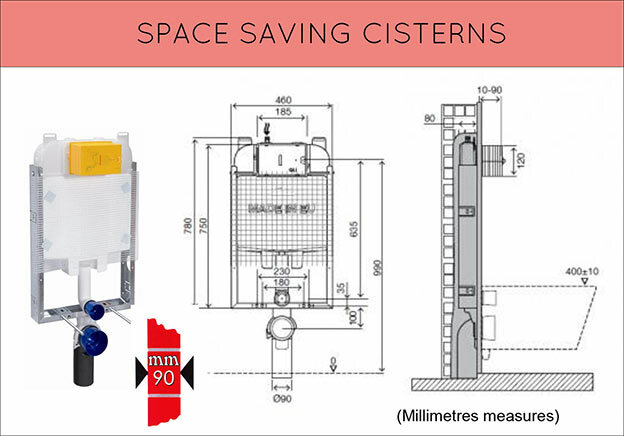 All concealed cisterns are available with a choice of 27 designer flush plates which are all dual flush.